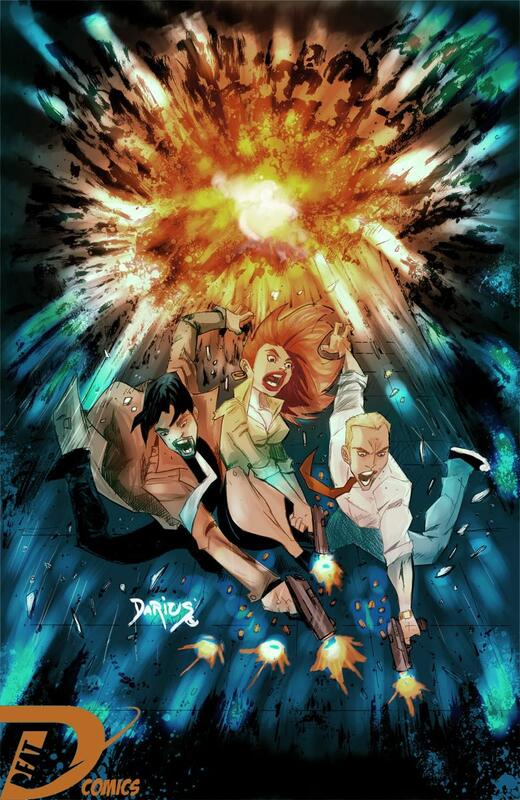 Crowd$ourcery: DFAT Comics first Comic Book, HOLLOWED, launches on Kickstarter! DFAT Comics is launching its first comic book title, HOLLOWED, and needs your help bringing it to life. The comic is filled with action, adventure, sci-fi comedy and so much more within its pages! There are a slew of Rewards to get your Geekly Mitts on including: T-shirts, pint glasses, exclusive artwork, and even a chance to see YOURSELF in the comic book. There’s also a soundtrack to accompany the comic that will make for a truly immersive experience. Read more about it below and don’t forget to fund! The story follows two detectives from different parts of the country, on a journey to stop a serial killer. The vile creature is unknown to Officers Vasquez and Tyler; leaving little clues outside of it’s hollowed out victims. What kind of monster would commit such heinous acts? Are these detectives closer than they think? Can you ever truly get bloodstains out of your coffee mug? Find out the answers to these questions and so much more within the pages of HOLLOWED! Support truly independent comics by donating to the campaign HERE.